Situated in a tree lined road, within walking distance to the amenities of Mill Hill Broadway, is this well presented 3/4 bedroom double fronted property with further potential to extend. The ground floor boasts a spacious living room, separate dining room, a large open plan kitchen-diner and an additional reception room, further benefits include a downstairs bathroom and office/bedroom. 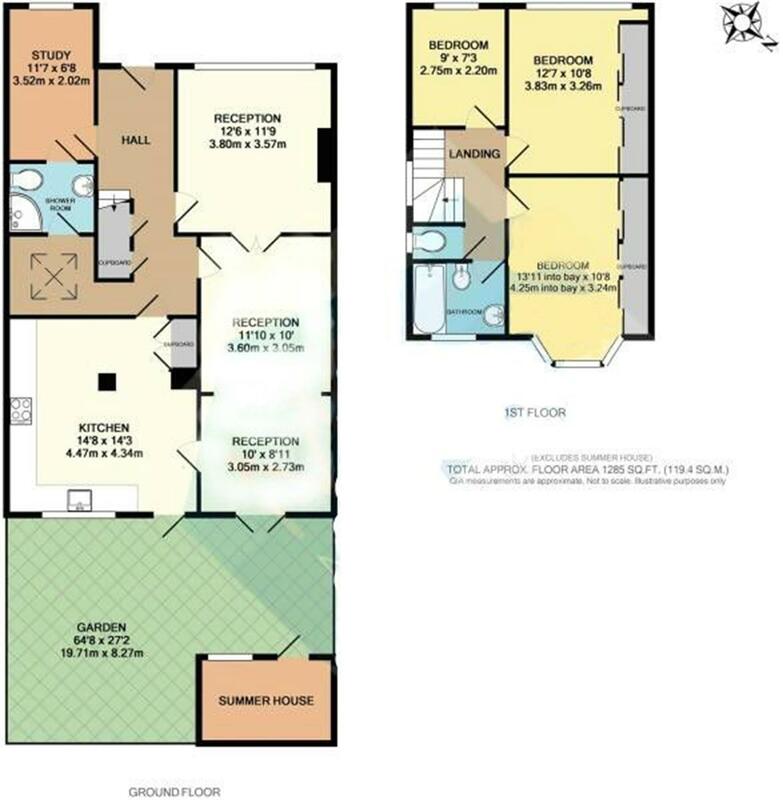 The first floor comprises of 2 double bedrooms a further bedroom and a family bathroom. Further benefits include a well maintained rear garden with a summer house, separate shed, off-street parking for 3 cars. Viewing Highly Recommended. Sole Agent.